A brush fire scorched about five acres of vegetation Monday in a rural area near Ramona Monday, but no structures were threatened. 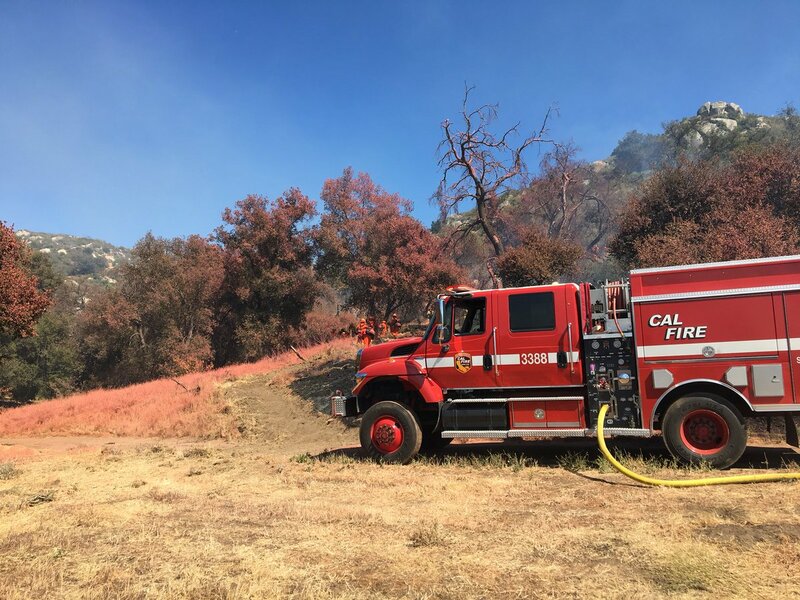 The fire broke out around 2:16 p.m. in the 25000 block of Creek Hollow Road, according to Cal Fire spokesman Kendal Bortisser. Ground and air crews at the scene were quickly able to stop the forward rate of spread, and the blaze was 50 percent contained and holding at five acres as of 5 p.m., Bortisser said. No structures were threatened and no evacuations were ordered.